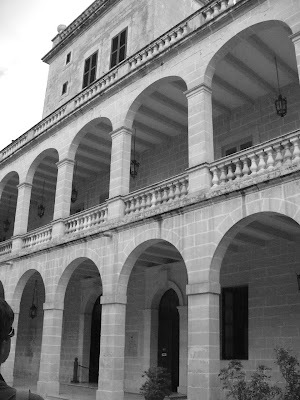 San Anton Palace began its existence as a country villa built by Fra Antoine de Paule, a Knight of the Order of St John. Following his election as Grand Master, the villa was enlarged to accommodate his numerous guests and entourage, which even included a baker who specifically baked black bread for the hunting dogs. The current structure was constructed between 1632 and 1635, when the Grand Master decided to enlarge the villa into palace in favour of building a trireme galley, and was used as his summer residence. The Grand Master named the palace San Anton after his patron saint, Anthony of Padua. Successive Grand Masters continued to use the palace as their summer residence. During the uprising of the Maltese against the French in 1799, San Anton Palace became the seat of the National Assembly until the capitulation of Valletta by the French in September 1800. Subsequently Captain (later Sir) Alexander Ball resided at the Palace, first as Chief of the Maltese Congress and then as Chief Commissioner. 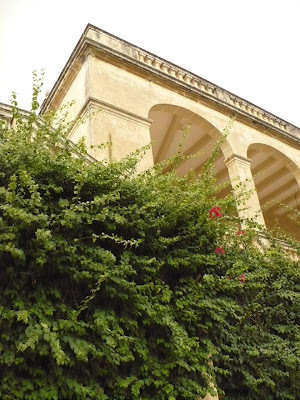 During this period a loggia around the drawing room and a balustrade-walk around the outer courtyards were built. This door is the entrance to the President's residence. Yes, that's how close we can get to our head of state! 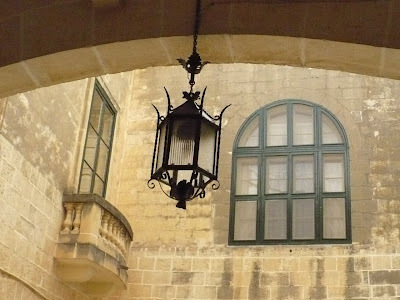 During the British period the Palace was used as the residence of the Governor and the Governor-General of Malta. 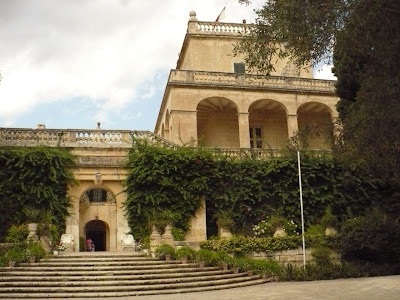 Following the end of British rule, the Palace became the official residence of the President of Malta. 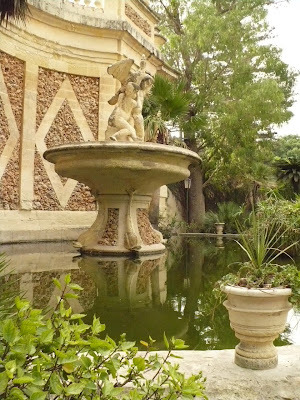 San Anton is surrounded by gardens containing a variety of trees and flowers from around the world and also a number of sculptures and ornamental ponds. 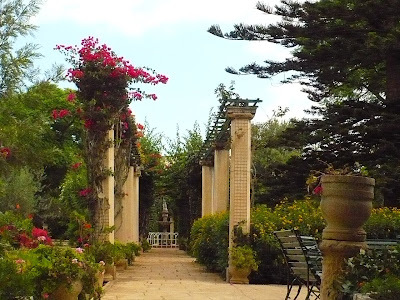 The gardens have been open to the public since 1882. What a BEAUTIFUL swan. And the gardens-to die for. You live in such a beautiful place. So much history. Thank you for sharing a piece of your world. I wonder if someone could get married there?? lol Simply beautiful gardens! This is beautiful, Loree! You took great photos, and each with its own character ans story! Fascinating history of the palace and pictures. Looks like it would be lovely to walk around the gardens. They are gorgeous photos Loree. Thanks for your comment about my Rhodes posting. Those Knights left a great cultural heritage didn't they. It's going to look a lot more familiar to you as we also visited Valletta on the cruise. However a day isn't enough in Valletta. I love it! Got to go back again soon but this time for a longer stay so we can see more. Beautiful place. Lovely gardens! You are lucky to get to visit this heavenly place! That was a beautiful post, thanks for sharing your gorgeous photographs. Super. I just love the way you interspersed the pictures with a small bit of descriptive history. Very well done. 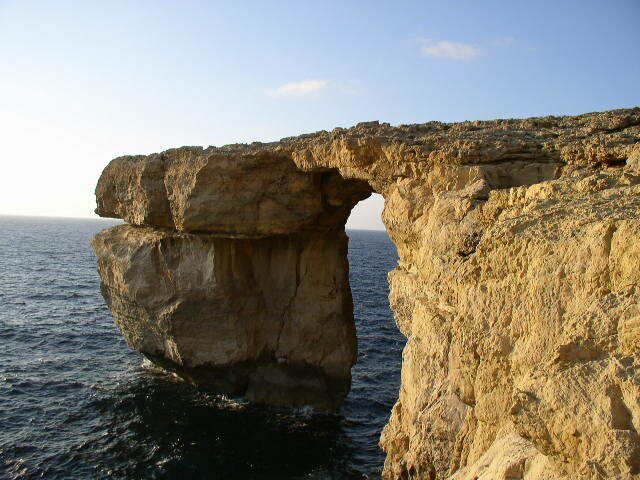 What a beautiful place Malta is! Tha palcae and ts gardens are so well kept. It's wonderful that you are so proud of your island's past. It looks like a wonderful place for a vacation! 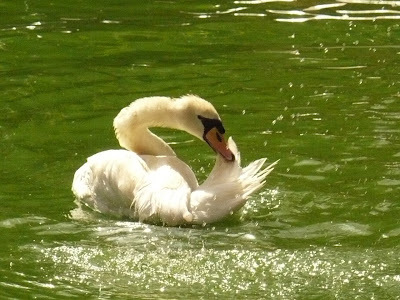 The Swan just makes things all the more beautiful. 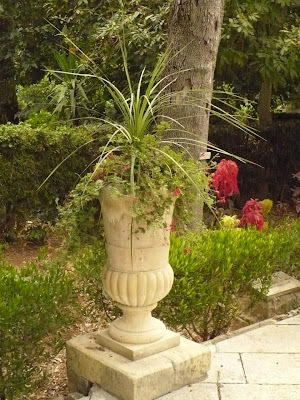 I just love the gardens! How lucky you are to live in such a magical place steeped in history!